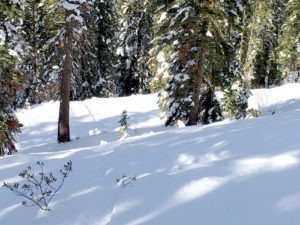 The first fatality at a Tahoe ski resort took place Feb. 3 at Northstar California ski resort. The Washoe County Regional Medical Examiner’s Office has identified the man who died after a skiing accident as 30-year-old Andrew McDowell of Tahoe City. The chances of dying at a ski resort is less than one in a 1 million. Still, tragedies occur on a yearly basis at Tahoe ski resorts and nationally as well. McDowell was pronounced dead shortly after arriving at Renown Regional Medical Center Sunday, Feb. 3. The cause and manner of death are pending investigation. The Nevada County Sheriff’s Office has not released information about the circumstances of the accident. Officials at Northstar California confirmed that McDowell was an employee, but did not mention his occupation. He was the first known death skiing Lake Tahoe for the 2018.19 ski season. “Northstar California, Northstar Ski Patrol and the entire Vail Resorts family extend our deepest sympathy and support to our employee’s family and friends,” said Nadia Guerriero, Northstar California Vice President and General Manager. The National Ski Areas Association (NSAA) keeps annual records on fatalities occurring at U.S. ski areas. According to their report, 39 skiers and snowboarders perished at U.S. ski areas during the 2015-16 season. That falls are in line with the 10-year industry average of 38 fatalities per season. The popularity of snowboarding has rapidly grown over the past two decades despite (or some may argue because of) concerns about the sport being a dangerous one. Wrist and ankle injuries are far more likely among snowboarders while skiers are more likely to damage their knees during a fall.